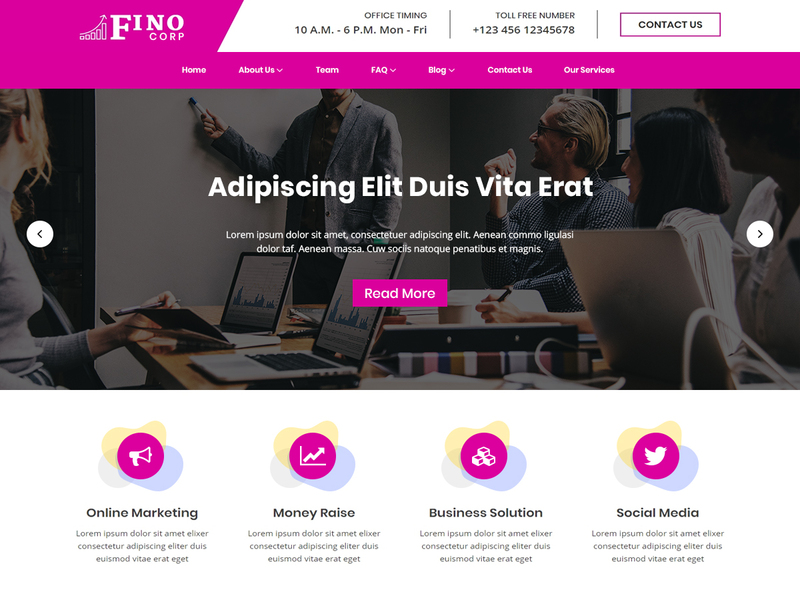 Finocorp a free responsive corporate WordPress theme, child theme of fino theme.Finocorp is very impressive with classic color touch to display your website very beautiful and good looking. Finocorp is simply editable and super flexible functionality. The theme is a perfect match of beautiful and professional layouts. This theme is made for any search engine, SEO Compatible. Bootstrap Framework based so it’s totally responsive. Html5 and css3 based coded. It is the multipurpose theme you case to use for the business, corporate, agency, startup, consulting websites.